Recommend tandem jump to a friend, collect points and jump for free! 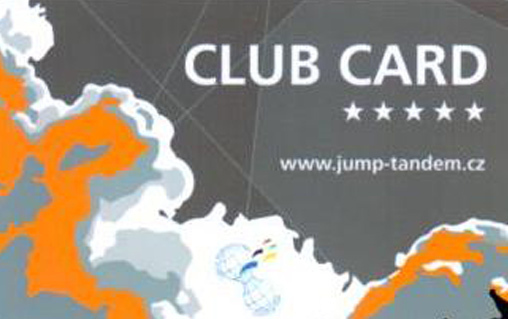 Congratulations to being a new member of our JUMP-TANDEM club. As a thank you for your decision to experience tandem jump with us, we prepared for you’re a club card with an identification number. Thanks to this loyalty programme you have a chance to receive additional jumps and other valuable services free of charge! 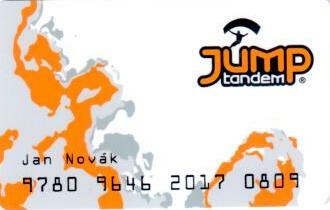 You just need to log in on https://www.jump-tandem.cz/benefit/ (fill in first eight digits) to your account and you can see the information about your card. If you or your family or friends buy a voucher for tandem jump and you enter the number of their voucher into your benefits system, you will automatically get 300 points of credit. Your JUMP-TANDEM credits can be used for more tandem jumps or for other services. See the table below for more information. *) Loyalty programmes can be used only at Dropzone Prostějov.